chart 21.01 is based on the Insee Labour Force Survey. Access to the Baccalaureat is studied by five-year age group (age on the date of the survey). It does not include qualifications that are equivalent to the baccalauréat. Those surveyed may have obtained their baccalauréat during initial education or later in life (in the case of those who returned to their studies). chart 21.02 is based on the Insee Employment survey. Access to higher education is examined by five-year age group (age on the date of the survey). If the respondent states that they are studying or have studied in higher education, they are counted as having accessed higher education, whether or not they have obtained a qualification at this level. chart 21.03 is based on Insee Labour Force Surveys. The level of qualification obtained by young people aged 25-29 according to their social background is calculated on average for the periods 2003-2005 and 2012-2014. Those surveyed may have obtained their highest qualification during initial education or later in life (in the case of those who returned to their studies). Children whose parents work as managers or in the intermediate professions are more likely to succeed in their studies. They are proportionally more likely to obtain a Baccalaureate, enrol in higher education and achieve higher education qualifications. However, inequalities have been reduced by the fact that access to higher education has improved most significantly for those from the most disadvantaged social backgrounds, although they still remain marked. Secondary and higher education made strong progress up until the mid-1990s. This is reflected in the fact that they became increasingly accessible to people from all social backgrounds. Despite this, differences between social backgrounds remain. In 2015, 71% of young people aged between 20 and 24 held a baccalauréat (chart 21.01). The democratisation of education over the course of the 20th century meant that people from all social backgrounds were more likely to obtain a baccalauréat. 59% of children of manual workers or employees aged between 20 and 24 passed the baccalauréat. This percentage is twice that recorded for previous generations: only 32% of children of manual or employees now aged 45 to 49 hold this qualification. 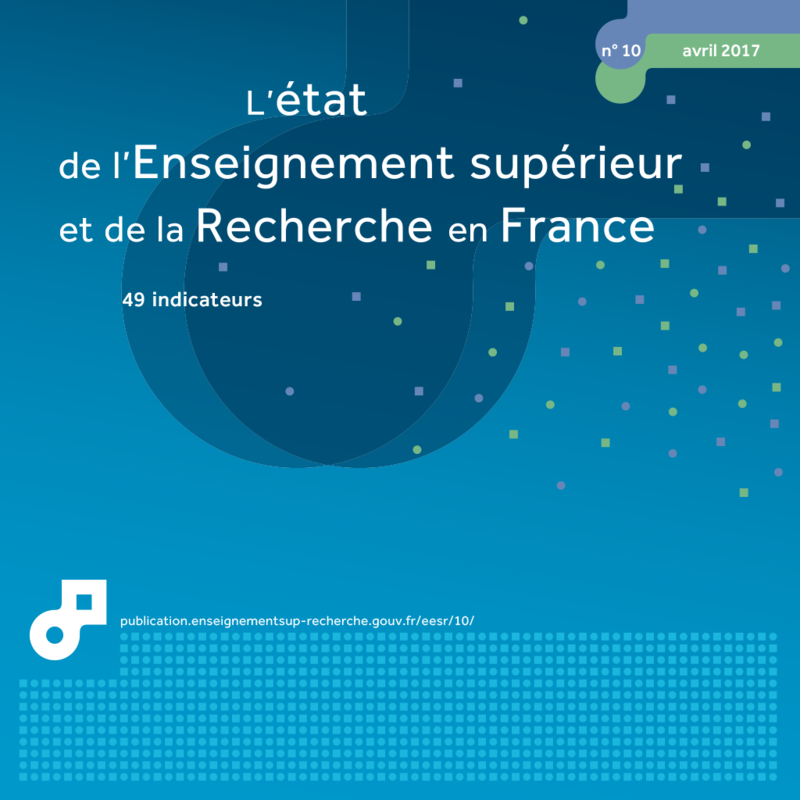 This increase in the number of young people obtaining a baccalauréat is also found among children whose parents are at the top of the social ladder, although the increase has been less marked: 87% of children of managers or the middle management aged 20 to 24 hold a baccalauréat, compared with 69% of those aged 45 to 49, i.e. a rate multiplied by 1.3. Despite a shrinking gap between social backgrounds, children whose parents work as managers or in the middle management remain the most likely to obtain a baccalauréat, at all ages. As a result of continuing efforts to broaden access to secondary education, higher education institutions accepted many more students in the early 1990s. In 2015, 58% of young people aged between 20 and 24 had or had had access to higher education (regardless of whether they graduated), compared with only 35% of those now aged between 45 and 49 (chart 21.02). This improved access to higher education was again most significant for children from the most disadvantaged backgrounds, to such an extent that the gap between those from different social backgrounds was reduced. Among young people aged between 20 and 24, children whose parents work as managers or in the middle management were nearly twice as likely to be studying or have studied at a higher education institution (1.8) as children whose parents are manual or employees (77% compared to 44%). This ratio is 2.6 for people aged from 45 to 49 (61% compared with 23%). On average from 2013 to 2015, 65% of young people aged 25 to 29 whose parents work as managers or in the middle management obtained a higher education qualification, compared with 30% of children of manual or office workers (chart 21.03). In addition, the first group had a higher level: in 2013-2015, 33% graduated with a Master’s, Diploma of Advanced Studies (DEA), specialised graduate diploma (DESS), PhD or from a grande école compared with just 8% for the children of manual or office workers. Conversely, there was little variation between children from different social backgrounds in the case of vocational higher education short courses: 13% of children whose parents work as managers or in the middle management obtained a higher technical certificate (BTS), university technology diploma (DUT) or equivalent qualification, compared with 12% of children of manual or employees. In around ten years, between 2003-2005 and 2013-2015, against a background of increased influence of the Bachelor-Master’s-PhD reform, the level of higher education graduates among young people aged 25 to 29 remained stable, regardless of the social category. However, the proportion of Master’s, DEA, DESS and PhD graduates rose significantly, in the same proportions for each social category. Finally, children from poorer backgrounds are more likely to leave higher education without obtaining a qualification. In 2013-2015, this applied to 12% of young people aged 25 to 29 who had studied in higher education and whose parents were managers or in the middle management, compared with 21% of the children of manual or employees. Extract from the chapter "21. level of education according social background". In 2015, 71% of young people aged 20-24 held a Baccalaureat. This was the case for 87% of young people aged 20-24 whose father is a manager or exercises an intermediate profession, compared to 59% of those whose father is a manual or office worker. In 2015, 58% of young people aged 25-29 were studying or had studied in higher education. This was the case for 77% of young people aged 20-24 whose father is a manager or in an intermediate profession, compared to 44% whose father is a manual or office worker. On average in 2013, 2014 and 2015, 30% of the children of office and manual workers aged 25-29 said they had a higher education qualification, compared to 65% of the children whose parents are managers and intermediate professionals (including teachers).